In a dramatic closing day of the four-week long 2010 Non-Proliferation Treaty Review Conference, the 190 States parties to the treaty (NPT) overcame deep divisions in order to agree on a final document that reviewed the last five years of treaty implementation (or lack of it) and laid down an action plan for the next five year cycle and beyond. The previous NPT Review Conference in 2005 collapsed without agreement, after which North Korea withdrew from the treaty and tested nuclear weapons and Iran stepped up its uranium enrichment program. The 2010 NPT Conference opened on a high note with UN Secretary-General playing a leading role – including at an event on the role of parliamentarians organized by PNND – the President of the NPT Review Conference Ambassador Cabactulan announcing several ambitious objectives including support for a nuclear weapons convention, and United States Secretary of State Hillary Clinton announcing new steps including moves to ratify the protocols of nuclear-weapon-free zones and provide assurances that non-nuclear States would not be targeted with nuclear weapons, and declaring for the first time the actual number of nuclear weapons possessed by the United States. This was quickly followed by a number of forward-looking statements by numerous countries from a range of geo-political backgrounds supporting Ban Ki-moon’s five-point plan for disarmament including the proposal for work on a Nuclear Weapons Convention. However, as the conference progressed, optimism for a successful outcome faded as the nuclear-weapon States resisted any time-commitments to meeting their disarmament obligations, tensions rose over the announcement of moves to place additional UN Security Council sanctions against Iran, and huge parts of the draft agreement were being challenged. Last minute diplomatic efforts by a number of key players – including Ban Ki-moon, NPT President Cabactulan and a group of countries working as “friends of the NPT president” - helped build an environment of flexibility and compromise in the final two days of the conference that resulted in an agreed document that seems to have something for everyone. 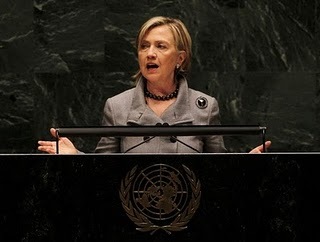 The States parties invited the UN Secretary-General to convene a Conference in 2012, to be attended by all States of the Middle East, on the establishment of a Middle East zone free of nuclear weapons and all other weapons of mass destruction. Actions by parliamentarians, including resolutions, statements and joint letters, may have contributed to the successful outcome – and in particular to overcome the resistance of some of the NWS and their allies to accepting key nuclear disarmament language. Of particular note were the resolutions supporting the UN Secretary-General’s five point plan and the nuclear weapons convention (See Parliamentary resolutions update below), and the letters sent to the NPT President by French Senators Muller and Demessine in the final week of the NPT when it looked as though France might block any mention of these. The political hurdles in implementing the 28 May NPT agreement were obvious even before the ink dried. On the same day the NPT Review Conference closed in New York, the NATO Parliamentary Assembly opened in Riga, Latvia with immediate division in the discussion of two key draft reports on nuclear policy: Nuclear/WMD Proliferation and Missile Defense prepared by Congressman David Scott (United States) and US Non-Strategic Nuclear Weapons in Europe prepared by Raymond Knops MP (Netherlands). The final reports, which are intended to be adopted at the next NATO Parliamentary Assembly in Portugal, are feeding into the NATO Strategic Concept Review which will set NATO nuclear policy for a number of years into the future. All NATO countries agreed to the NPT Final Document in New York, which included commitments to “diminish the role and significance of nuclear weapons in all military and security concepts, doctrines and policies,” to ‘rapidly move to an overall reduction in the global stockpile of all types of nuclear weapons” and to “make special efforts to establish the necessary framework to achieve and maintain a world without nuclear weapons.” Despite this, the NATO PA debate was opened with a declaration by Assembly Vice-President Sven Mikser that “nuclear deterrence will remain an important part of the overall NATO deterrent for the time being… we won’t be talking about global zero within the lifetime of the new Strategic Concept I am sure.” Regarding the deployment of nuclear weapons, Mr Mikser noted that member States should “hold to the minimum necessary to support NATO’s strategy of preserving peace and preventing war.” Several delegations endorsed Mr Mikser’s support for maintaining a strong nuclear deterrent including maintaining US nuclear weapons in Europe. Others noted that the US nuclear weapons in Europe had no military value, and were counter-productive in NATO efforts to prevent others from acquiring nuclear weapons. The draft paper on US Non-Strategic Nuclear Weapons in Europe, discussed all possible options regarding such weapons - including unconditional withdrawal, partial withdrawal, withdrawal being conditional upon dismantlement by Russia of their tactical nuclear weapons, and maintaining the status quo. Agreeing that the tactical weapons in NATO countries no longer had any military value, Mr Knops asked delegations several questions dealing with the political nature of the weapons – that should be discussed back in the national parliaments with a view to building a consensus for moving forward. In particular Mr Knops asked delegations to examine alternative measures that member states might find acceptable in ensuring their defence should a change to the status quo take place? Parliamentarians in NATO countries thus have a renewed opportunity to contribute to this very important debate in the forthcoming months and before the final determination of the new NATO Strategic Concept in November. PNND organized a roundtable discussion during the NATO Parliamentary assembly for parliamentarians, government officials and NATO ambassadors to consider the implications of the US Nuclear Posture Review and the 2010 NPT Review Conference outcome on the NATO Strategic Review. PNND Global Coordinator Alyn Ware noted that several aspects of the US NPR should be emulated in the NATO Strategic Review, including reducing the role of nuclear weapons to primarily address nuclear threats, increasing the reliance on non-nuclear elements to strengthen regional security architectures, and initiating a comprehensive national research and development program to support continued progress toward a world free of nuclear weapons. Mr Ware also noted some of the relevant provisions in the 2010 NPT outcome document (see section 2 above). PNND Council member Marit Nybakk MP (Norway) spoke about the importance of parliamentarians in promoting implementation of the steps and initiatives agreed in the NPT Review outcome. She also spoke about some of the initiatives being taken by Norway to advance the proposal for a Nuclear Weapons Convention and to undertake practical work on verification for a nuclear weapons free world. Parliamentarians were busy in the run-up to the 2010 NPT Review Conference with the adoption of resolutions in numerous parliaments calling on governments to work for a strong outcome addressing both non-proliferation and disarmament. Resolutions supporting Ban Ki-moon’s five-point plan and/or the nuclear weapons convention, were adopted in the parliaments of Austria, Bangladesh, Costa Rica, Germany, Italy, New Zealand, the European Parliament and the Inter-Parliamentary Union, and were introduced into the parliaments of Belgium, France, Scotland, the United Kingdom and the United States. There were also resolutions adopted in the Netherlands parliament and European Parliament calling for the withdrawal of the remaining US nuclear weapons in Europe, in the Italian parliament supporting the idea of a European nuclear-weapon-free zone, a resolution introduced into the Belgian parliament calling on the government to promote a policy of no-first-use and a bill introduced in the Belgian Senate which would amend the Belgian constitution in order to prohibit nuclear weapons. PNND invites you to keep us informed of parliamentary actions in your parliament for us to include in our updates. On 8 April 2010 in Prague, US President Obama and Russian President Medvedev signed the follow-on Strategic Arms Reduction Treaty (START) which will limit the number of deployed strategic nuclear warheads to 1,550, and limit to 800 the number of deployed and non-deployed delivery systems including inter-continental ballistic missiles (ICBM), submarine-launched ballistic missiles (SLBM), and heavy bombers equipped for nuclear armaments. The principal negotiator for the United States was State Department Assistant Secretary Rose Gottemoeller, formerly a member of PNND partner organisation the Bipartisan Security Group. PNND Co-President Ed Markey, PNND United Nations Liaison Dennis Kucinich and a number of other members of the US Congress sent a joint letter on the eve of the Prague announcement supporting the START agreement and pledging to work for its ratification. President Obama has indicated that the new treaty is just a start in an ongoing process of nuclear disarmament leading to a nuclear-weapon-free world. The US Nuclear Posture Review, released in April 2010, for example, “examined the full range of factors that will allow deeper reductions in US nuclear force levels” in order to implement “our commitment to the long-term goal of a world without nuclear weapons” (NPR page 19). The NPR notes that the possibilities for deep reductions rely on a number of factors including nuclear positions and force developments in Russia and China. However, in Remembrance of Things Past, an article published in the Spring 2010 issue Strategic Studies Quarterly, three leading Air Force strategists and scholars argue that the US could unilaterally and immediately cut its nuclear arsenal by more than 90 percent – going down to 311 nuclear weapons, without requiring reciprocal action by other nuclear weapon States. The authors, James Wood Forsyth Jr., Colonel B. Chance Saltzman, USAF and Gary Schaub Jr, are no abolitionists – arguing that nuclear weapons remain vital to US security. But they take a ‘realistic’ approach noting the incredibly destructive force of 311 nuclear weapons would easily be sufficient to deter any aggressor – and also respond in retaliation if the US faced nuclear attack. In addition to further negotiated cuts in the nuclear arsenals, the NPR indicates other possibilities for next steps by the United States in reducing the role of US nuclear weapons in the national security strategy; advancing non-proliferation and arms control treaties (such as the nuclear test ban treaty and a fissile materials treaty); strengthening non-nuclear aspects of security and deterrence in regional arenas in order to reassure US allies and partners; and undertaking research and development efforts to support continued progress toward a world free of nuclear weapons, including expanded work on verification technologies and the development of transparency measures (See NPR Summary by PNND). President Obama’s vision for a nuclear-weapon-free world – and proposed steps in that direction – face considerable difficulties in the United States. The Republican Caucus in the Senate, for example, informed President Obama in December that they would not ratify any stockpile reduction treaty unless the President committed to modernizing the nuclear arsenal (see Nuke modernization, Washington Times, December 17). In May 2010, Republicans in the House of Representatives succeeded in attaching amendments to the 2011 defense authorization bill expressing grave concerns about the disarmament steps announced in the US Nuclear Posture Review, and requiring the White House to conduct a rigorous analysis before any further cuts are considered in the US nuclear arsenal (see GOP Steps Up Opposition to Obama Nuclear Agenda, Global Security Newswire, 28 May 2010). Parliamentary letters, resolutions and other actions from allied countries were very helpful in supporting the START negotiations and encouraging the US administration to include positive disarmament steps in the Nuclear Posture Review. Continued parliamentary actions will assist in the implementation of these steps and pave the way to a nuclear-weapons-free world. PNND can ensure that such actions are presented to key US congress members and administration officials. On 26 March, US Congressman Dennis Kucinich presented 1000 origami (folded paper) cranes to President Obama, which Kucinich received from Japanese students visiting his office. The crane (a bird) is a symbol of good luck in Japan – and there is a belief that folding 1000 origami cranes will bring peace. Since the atomic bombing of Hiroshima and Nagasaki origami-crane-folding has become an action by youth around the world to educate about the effects of nuclear weapons and to call for nuclear disarmament. The Japanese students visiting the US capitol folded (and gave away) 23,000 cranes to represent the number of nuclear weapons estimated to exist in the world today. The Parliamentarians’ Network for Conflict Prevention (PNCP) was established by the EastWest Institute in October 2008 with the purpose of strengthening government response and accountability towards the prevention of violent conflict. It has a growing membership of over 100 parliamentarians from more than 45 countries. PNCP is led by Angelika Beer, Former Chair of the European Parliament Section of PNND. PNCP partners with the International Taskforce on Preventive Diplomacy. Also on their site is Prospects for Nuclear Disarmament, an interview with PNND Global Coordinator Alyn Ware. Parliamentarians interested in joining are invited to contact parliamentarians@ewi.info or visit PNCP membership. Hon. 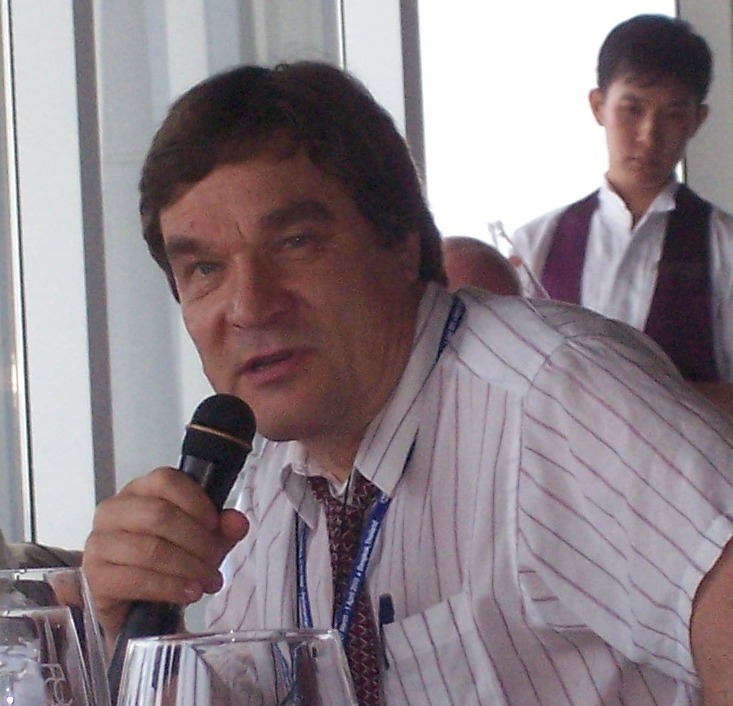 Dr. Kimmo Kiljunen (born 1951), PhD Sussex, has been a member of the Finnish parliament since 1995. He is a member of the Parliament's Grand Committee and the Committee for Foreign Affairs, and was formerly the chairman of the city council of Vantaa. Dr Kiljunen is active on European integration and bringing a parliamentary dimension to the work of intergovernmental organizations. He served as a member of the European Convention that drafted a constitution for the EU, and currently serves as vice-chair of the OCSE parliamentary assembly. Prior to joining parliament Dr. Kiljunen worked for UNDP in New York , UNICEF in Nairobi and as Secretary-General of the International Peace Bureau. 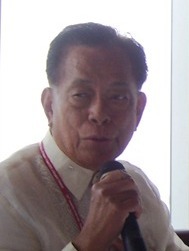 Senator Aquilino "Nene" Quilinging Pimentel, Jr. (born December 11, 1933) has served as Mayor of Cagayan de Oro City (1981-83), as an Assemblyman in the Batasang Pambansa - National Assembly (1984-1986) and the Philippines Senate (1987-1992 and 1998-present). He was Senate President from 2000-2001 and has also been a Minister of Local Government and Presidential advisor/chief negotiator with the Muslim insurgents in Mindanao. Senator Pimental has been a long-time advocate for civil and political rights. He served as a delegate to the 1971 Philippines Constitutional Convention, and was arrested a number of times when the constitution was suspended during martial law imposed by President Ferdinand Marcos. 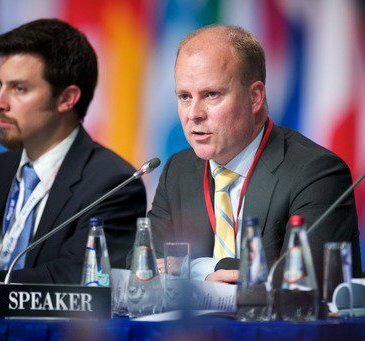 More recently Senator Pimental has been the Chair of the Inter-Parliamentary Union Committee on Human Rights. Mani Shankar Aiyar (born April 10, 1941, Lahore) has worked as a diplomat in the Indian foreign service, as a personal assistant and adviser to Prime Minister Rajiv Gandhi, a member of the Lok Sabha (Lower House) and now serves in the Rajya Sabha (Upper House). He served as Union Cabinet Minister for Petroleum and Natural Gas from May 2004 to January 2006 and Ministry of Youth Affairs and Sports until 2009. 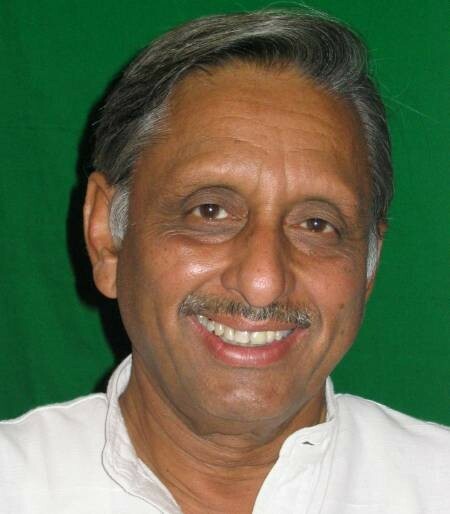 During his time working for Rajiv Gandhi, Mani Shankar was involved in the development of the Rajiv Gandhi Plan for Nuclear Abolition and a Non-violent World Order and has continued to advance this plan. Mani Shankar is author of a number of books including Remembering Rajiv (1992), Pakistan Papers (1994), Knickerwallahs, Silly-Billies and Other Curious Creatures (1995), Rajiv Gandhi's India (4 vols, 1997) and Confessions of a Secular Fundamentalist (2004). He was recently made an Honorary Fellow of Cambridge College. Dirk Van der Maelen has been a member of the Belgian House of Representatives since 1989. He is currently the President of the Parliament Committee on Globalisation and Vice-President of the Foreign Affairs Committee. He has also served as Leader of the Socialist Group, and Vice-President of the House of Representatives. Mr van der Maelen has been active on disarmament and non-proliferation issues co-sponsoring a number of resolutions and authoring a bill that prohibited depleted uranium weapons. Angelika Beer was a member of the European Parliament from 2004 to 2009 during which time she served as Chair of the delegation for relations with Iran, Chair of the European Parliament Section of PNND and as a member of the Foreign Affairs Committee and the European Parliament delegation to the NATO Parliamentary Assembly. Ms Beer now serves as Chair of the Parliamentarians’ Network for Conflict Prevention. Ms Beer rejoins the PNND Council as an Alumni Member. From 10-14 June, Peace Boat will be hosting an on-board, post-NPT consultation of disarmament experts, PNND members and Mayors for Peace representatives. The consultation will focus on the opportunities to advance the UN Secretary-General’s five-point plan for nuclear disarmament, including the proposal for a nuclear weapons convention, in light of the support given to this initiative by the States parties during the 2010 NPT Review Conference. Peace Boat will be organising public and media events at the start of the voyage in Bergen, Norway, and at the end in Dublin, Ireland. For more information see www.peaceboat.org. On 23 June PNND and the Fredrich Ebert Stiftung will host a roundtable of parliamentarians and disarmament experts in the European Parliament to discuss the role of parliamentarians to advance the agreement of the 2010 NPT Review Conference and to impact on the NATO Strategic Concept. Speakers will include PNND Co-President Uta Zapf (Chair of the German Parliament Sub-committee on Disarmament and Arms Control), Randy Rydell (United Nations Office of Disarmament) and others still to be confirmed. For more information contact alyn@pnnd.org. By Commander Robert Green, Royal Navy (Ret'd), Foreword by General Sir Hugh Beach and General Lord David Ramsbotham. Better World Links provides links to thousands of articles on peace, human rights, environment and social justice. Better World, for example, includes 200 links on the NPT, 27 links on the Nuclear Weapons Convention and 1600 links on general nuclear disarmament.